We may only be one month into 2017, but speed has never been more important in the British TV sector. When I say speed, I mean in terms of green-lighting the next big shows, especially the standout dramas that have become so valuable. The game is now about who can sign up the best talent before the other guy gets them. This is part of the reasoning behind the launch this month of new-style indie Benchmark Television, comprising former BBC supremo Danny Cohen’s Access Entertainment, War And Peace production company Lookout Point and BBC Worldwide. The triumvirate have created a new financing template that allows the quick green-lighting of projects, even before a broadcaster or platform signs up. “I don’t think we are seeing the end of anything, because broadcasters and platforms will remain a strong part of the mix,” Lookout Point’s Simon Vaughan told me on his way to LA to meet Cohen, Penhale and a parade of agents, writers and producers. Vaughan’s strategy is partially to out-Netflix Netflix – and sell to the SVoD platforms when he can, of course. It’s not really a brand new strategy, either: Sony has the ability to do a speedy green light of, say, a Left Bank production if it thinks it has legs, and NBC Universal has the financial clout to get behind the studio-owned Carnival to do the same. But they still line up the key broadcasting markets to make the economics work. So the big question is how much upfront risk you take. For the digital OTT giants, this question can be easier to answer, given their demand for global rights. Meanwhile, Sky this week took a majority stake in A New Life In The Sun producer True North, as well as an undisclosed stake in drama producer Chrysalis Vision, to add to its ability to control and distribute its own content. The thinking is clear. 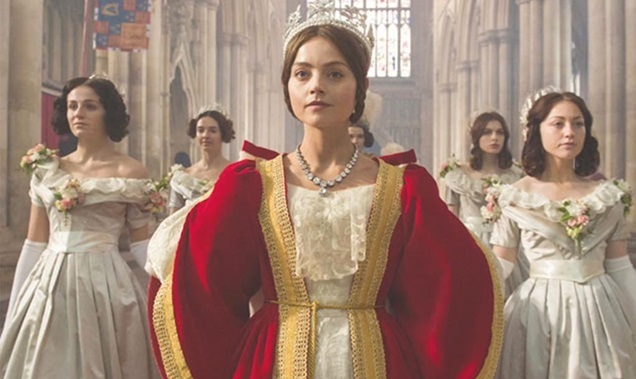 Look at ITV with Victoria, produced by ITV-owned producer Mammoth Productions. Victoria has sold well internationally and it means that ITV’s Sunday night hit is an owned property, rather than an acquired one like Downton Abbey. There seems to be plenty of money around for the best projects and Vaughan, for one, thinks that the concern over the drama bubble has been overblown. But big spending in what many are comparing to the film financing model does not guarantee big hits. Remember how Heaven’s Gate – thought to tick all the right boxes – brought down United Artists? “Be exceptional,” says Vaughan. “The market for the best material is as competitive as it’s ever been.